Finished quilt measures 55" x 70". 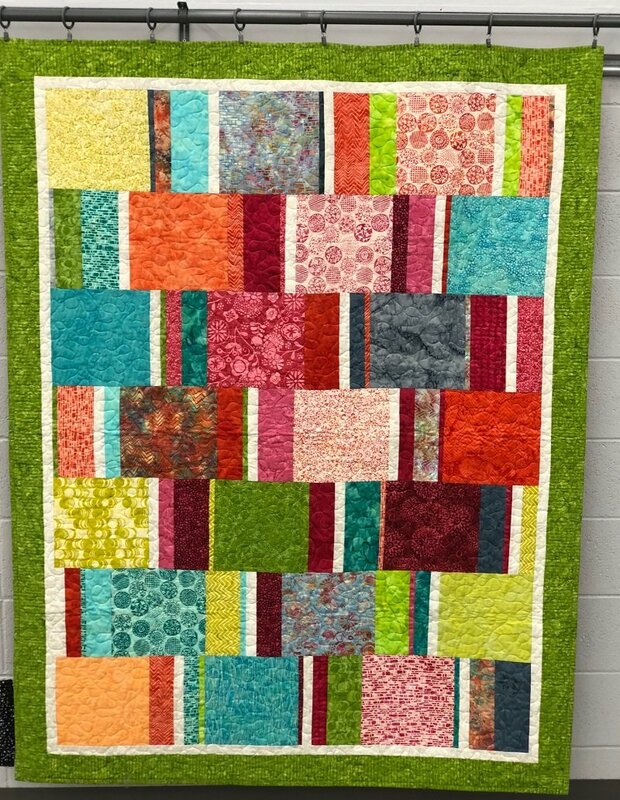 This quilt is made using a pattern called "Hot Tub". No actual time machine involved. Wrap yourself in warmth as it is backed with cozy orange flannel. Finished quilt sold as is - was used as a store sample.